A biofilter is a biological filter that provides a pond with water that is rich in carbon dioxide. Carbon dioxide is very important for water plants. They, in turn, keep pond water clear and clean. How does a biofilter work? A pond pump pumps water through the biological filter. 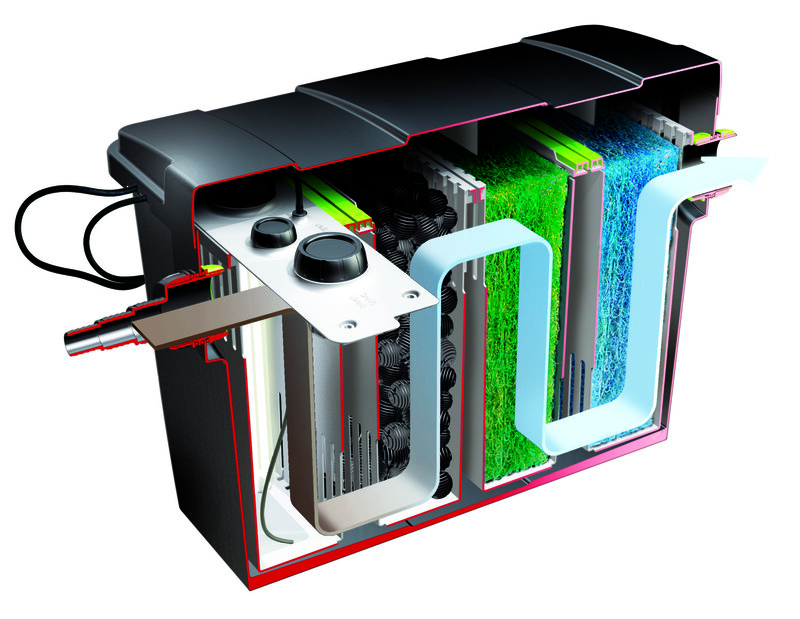 This biological filter contains bacteria which convert waste materials in carbon dioxide. Carbon dioxide, in turn, is pumped into the pond and serves as fertilizer for the plants in the pond therefore this is called the biological cycle of a pond. If new biofilters are used, it will take a number of weeks before bacteria have sufficiently increased in number to do their work properly. Fortunately you can add bacteria to the filter material yourself. In this way you can cause your filter to work quicker. A biofilter also needs hard water. By hard water is meant, water that contains sufficient minerals. You can provide this yourself by applying a hardness improver. Biofilters are often suitable for ponds holding 20,000 to 60,000 litres. 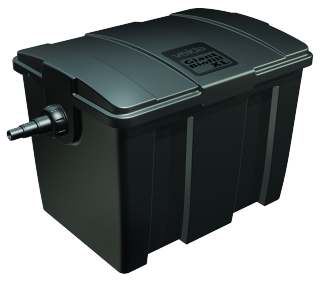 When purchasing a biological filter you should make sure that you have a proper pond pump. For, that pump should be capable to work continuously from March to at least October. Thus the biofilter will be provided with water all the time. If the biological filter runs dry, the bacteria will die and you have to start all over again. It is not difficult to connect a biological filter. It is necessary to place a biological filter above water. If you buy a proper filter, it is always accompanied by a clear and usable manual. Want to be a reseller? Contact us!